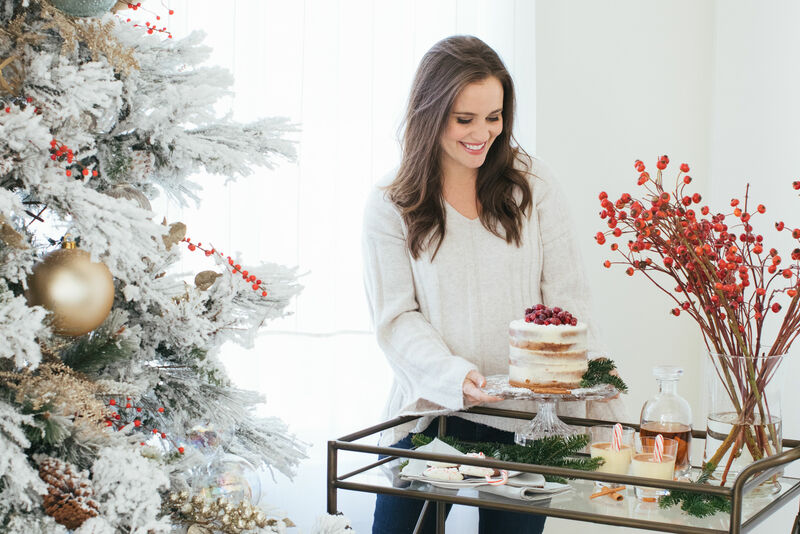 With "Open House," lifestyle blogger Caroline Harper Knapp wants women to connect IRL. Caroline Harper Knapp leads her first Open House panel featuring (L to R) Hunter Bell, Marie Flanigan, and Bailey McCarthy. 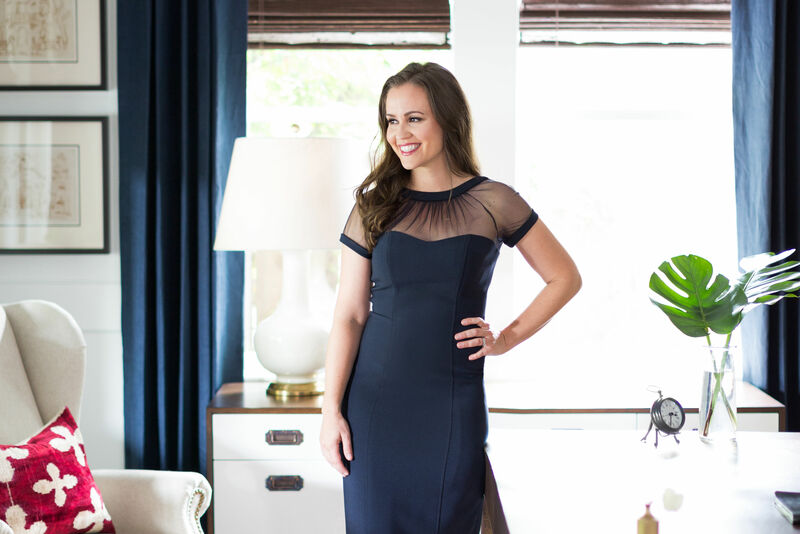 Caroline Harper Knapp has carved a career out of the internet. But now, she's taking the conversations offline. 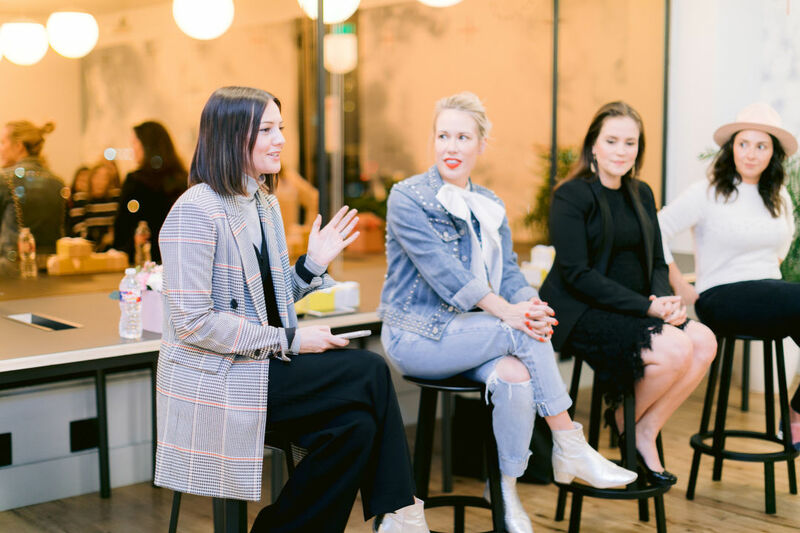 The Houston-based lifestyle blogger behind House of Harper this month launched "Open House," the first in a series of panels about women in business meant to foster a welcoming space for working women to explore a variety of topics outside the digital sphere. "At House of Harper I'm constantly striving to engage in important conversations with our readers, but there is something so powerful about taking those discussions offline," Knapp said. 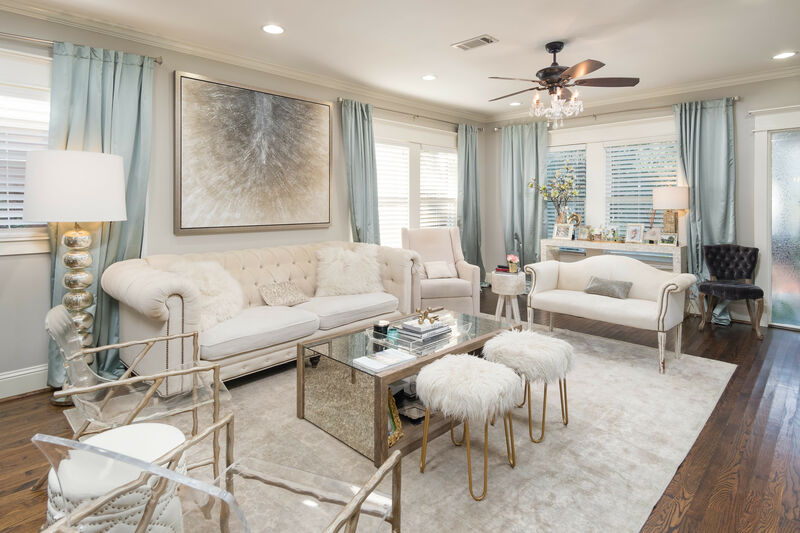 "With our new Open House series, I hope we can create a platform for women in Houston to connect in person and learn from one another." The first Open House was held at the Galleria-area co-working space WeWork, where House of Harper currently offices. Panel speakers included local women business owners Marie Flanigan of Marie Flanigan Interiors, Hunter Bell of Hunter Bell NYC, and Bailey McCarthy of Biscuit Home. Open House guests mingle at the November 15 WeWork event. Open House is as much a networking event as it is a place to learn from the experienced female entrepreneurs. The first event was filled with chic, business-professional women as far as the eye could see—somehow, everyone in attendance looked like they could be an extra in The Devil Wears Prada. 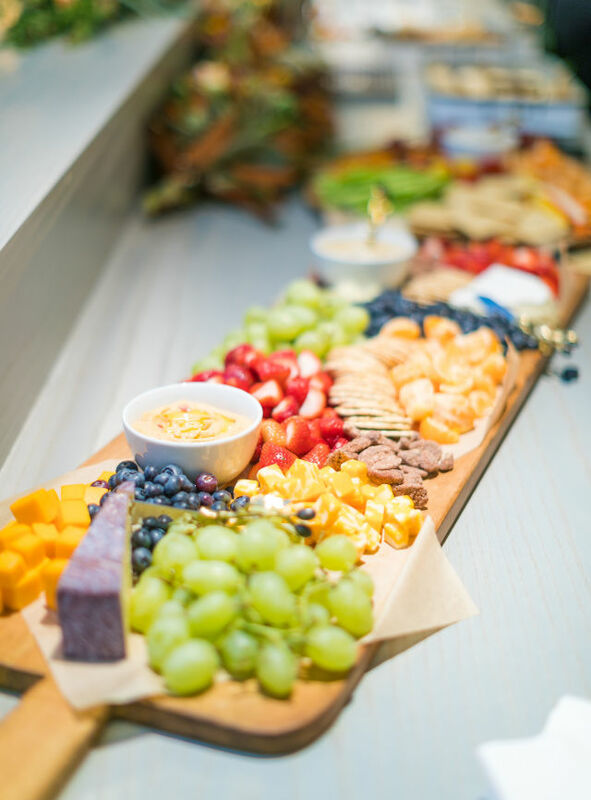 Knapp opened 40 spots for the gathering, which also included Instagram-worthy, elaborate cheese trays by Marla Murphy of The Blonde Pantry, JoyBox floral arrangements, and the ultimate equalizer for networking with strangers: wine. Women-owned businesses were behind everything from the food to the flowers. 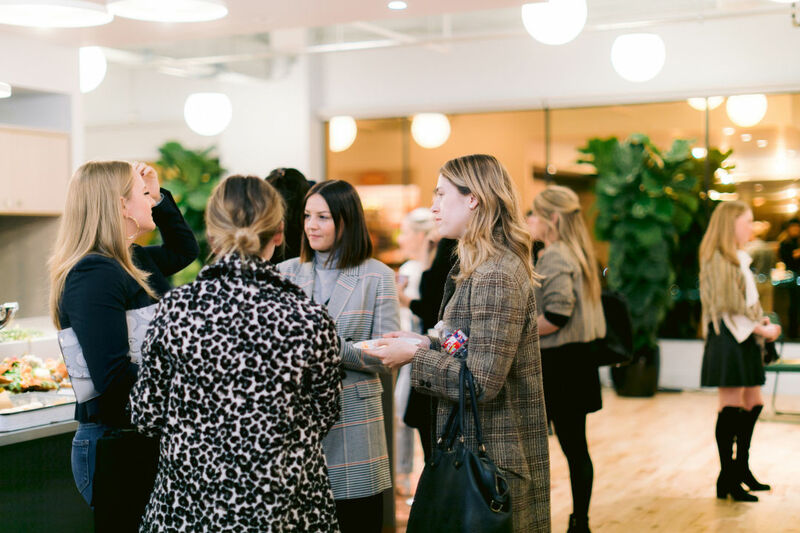 Guests mixed and mingled in the modern WeWork lobby before Knapp introduced the evening's panelists, who answered poignant audience questions and spoke about everything from obstacles in launching their businesses to motherhood to work-life balance. Each speaker offered insights on what it takes to not only be a successful business owner, but a successful woman and all that encompasses. Perhaps Open House will be a breeding ground for future (kinder) Miranda Priestlys. Knapp has cultivated an event that puts women in the foreground and fosters an environment for them to connect with another and learn from their experience. Women-owned businesses were tapped to handle everything from the food to the flowers, and guests left with goodies from more, like Switch2Pure, Mostess, and Kendra Scott. The cozy gathering bridged networking with female empowerment, and Knapp aims to make Open House a quarterly event with first-come, first-served seats. The next panel, slated for January, will center around wellness and prioritizing self-care while still making strides in your career. We could all use a little more of that in the New Year.